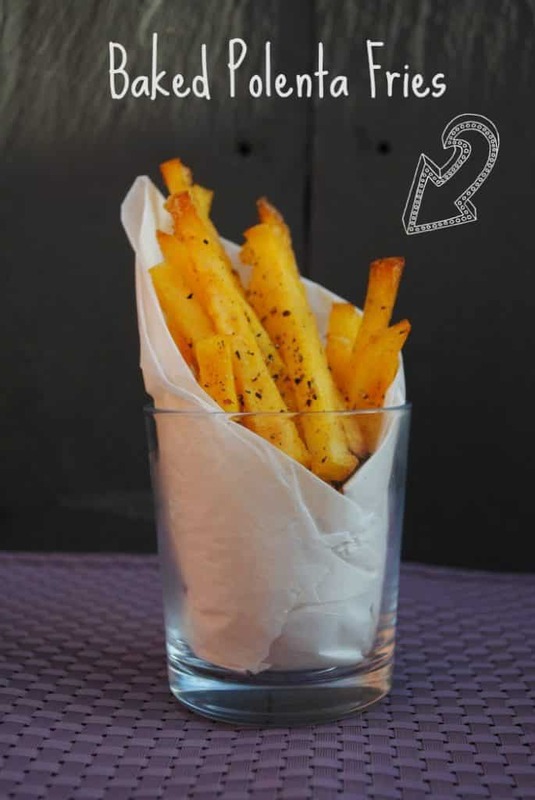 Polenta is a fairly new ingredient in our house, but ever since Dave decided to be “adventurous” and order some polenta fries when we went to Jamie’s Italian, he has been hooked on it and will always prefer to have these over traditional potato fries. They don’t take any more effort to make and they get so much crispier and have much more flavour than potatoes. 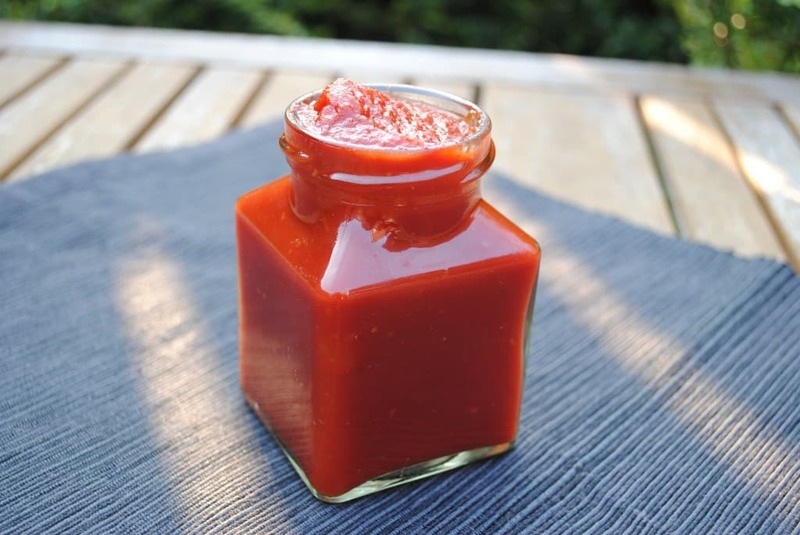 Have you tried my homemade healthier ketchup recipe? Much less sugar and salt and generally not full of junk. 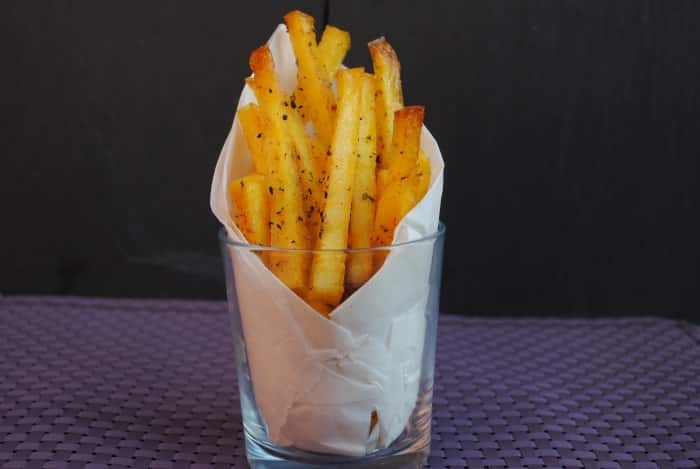 These fries are perfect dipped in it. 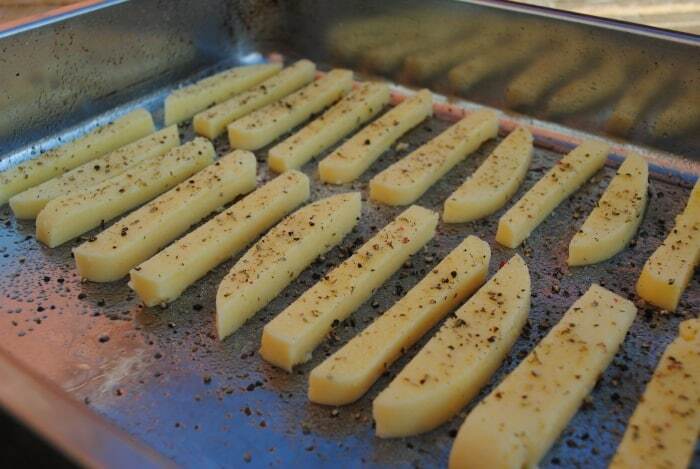 Cut the pack of polenta into fries and lay on a baking sheet. 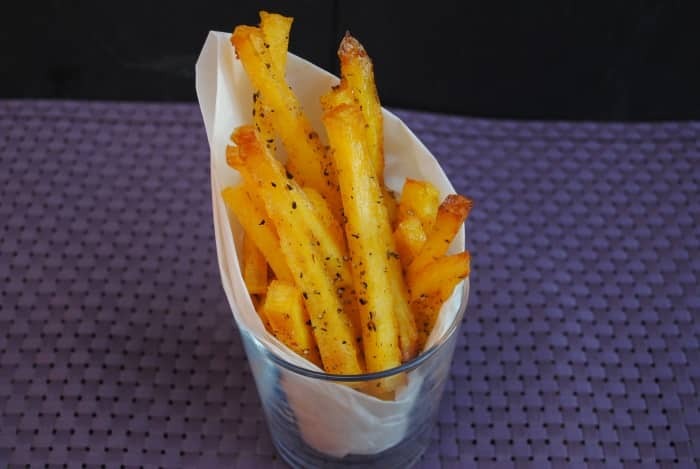 Drizzle with oil and sprinkle over garlic, salt and pepper. Put in a preheated oven at 210C/415F and bake for 40 minutes until crispy. Have you tried polenta before? What’s your favourite way to eat it? These are fantastic. I’ve made them several times, especially as a side dish for grilled meat, and they are addictively good. I too find that they take a solid hour (sometimes even more) to bake to a nice crispness. Worth the wait though! So happy you enjoyed them. 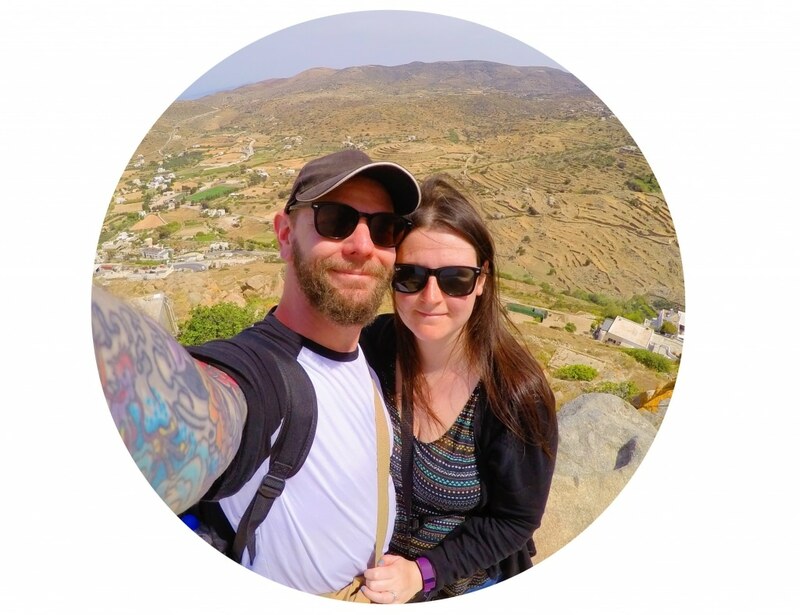 They are one of our favourite sides.